No-one likes learning new processes. Even if changing how you do things will save time in the long run, learning a new system can be tedious and time-consuming in the short term. That’s why one of the country’s leading professional services companies decided to host an event to demonstrate to staff how making changes now would shape the future of the company. And what better way to convince their workforce of the benefits of new technology than by using immersive technologies to give them a taste of the future? 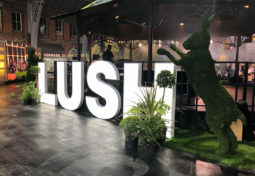 Production Company, Chameleon events, turned to Anna Valley to help them deliver this immersive event experience for their client after visiting Anna Valley’s showcase earlier in the year. Chameleon Events isn’t a typical event production company. 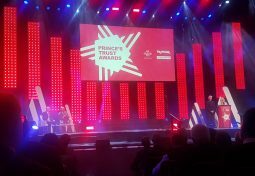 The company started out in the early 1990’s as a dry-hire provider, renting out PA, projection and lighting kit, before changing focus to specialise in event production – so they have an intimate understanding of AV technology and event and technical design. 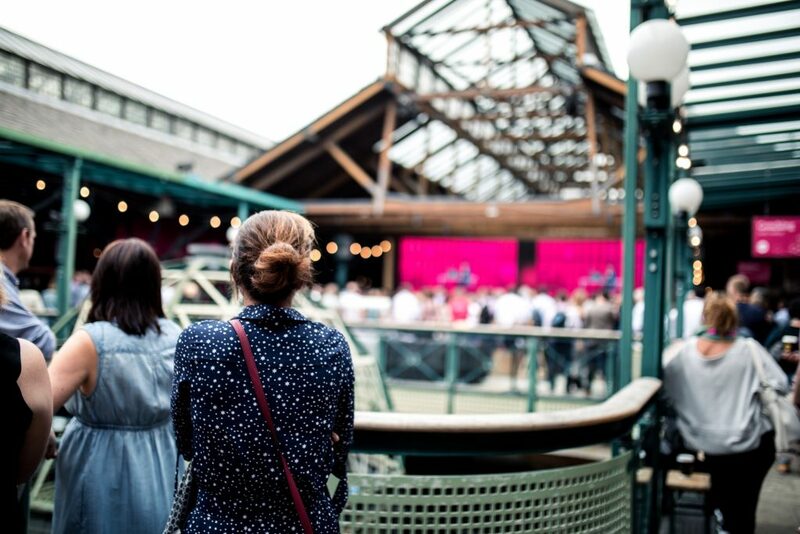 This experience proved invaluable in the run up to an event that embraced change in all aspects. The original concept was a learning festival at Excel (complete with an indoor rollercoaster!) 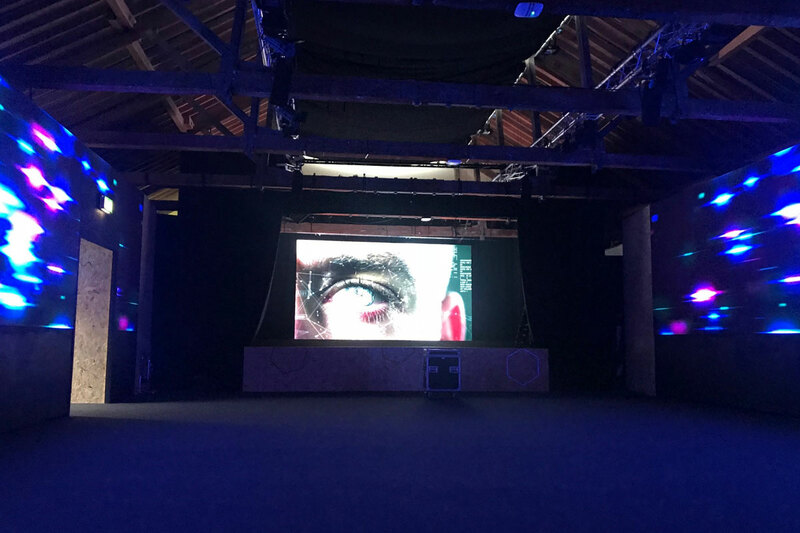 but when the client chose Tobacco Docks as the venue, the creative approach changed to focus on the juxtaposition of the old building and new technology. 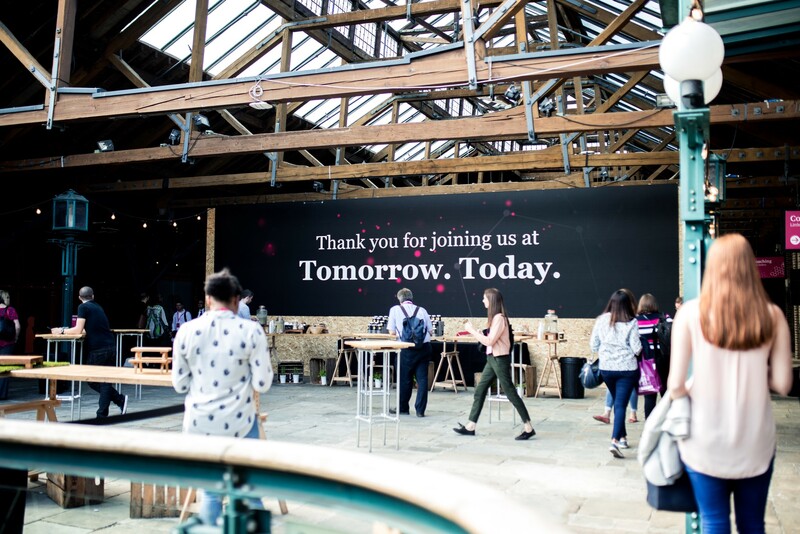 The client wanted to wow all 4500 staff members that would attend the event from the minute they arrived and throughout their exploration of the vast Tobacco Docks venue which was booked out for the event from the 10th to the 12th of July 2018. To make an immediate impact on arriving attendees, Anna Valley lined the walls of the welcome area with 3.9mm LED panels. 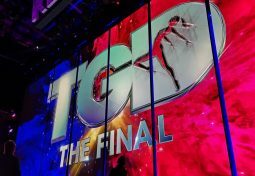 Each of the three displays measured 10m x 2.5m, with content running off a Hippotizer Boreal Plus server and through an E2 Barco switcher. 1m LED animation tubes bridged the lighting between stage and audience in the conference room and the plenary session content was supported with 4 x Panasonic RZ12K laser projectors. An additional 87 LCD screens, ranging from 32 to 75 inches were distributed throughout the 10 event spaces so that attendees could engage with the same content from anywhere at the same time. But the immersion space was the highlight of the event. 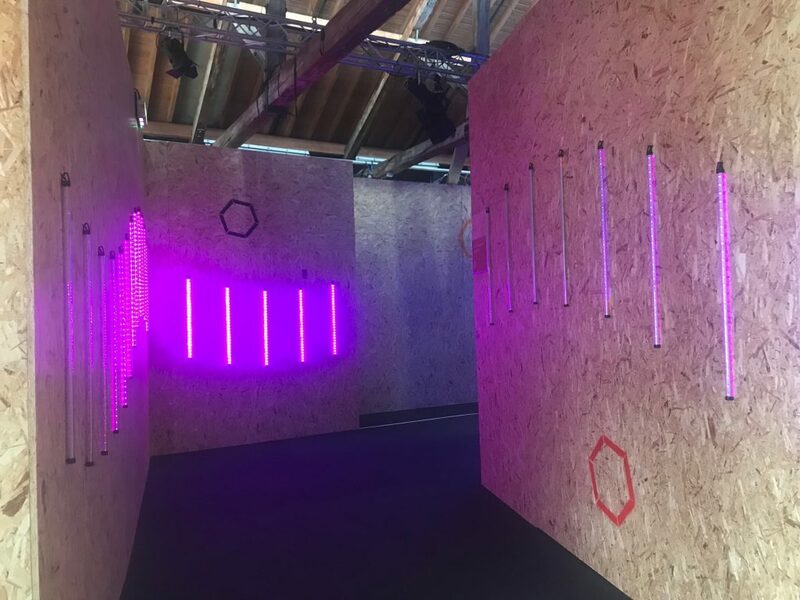 Staff entered this area via a tunnel rigged with pixel-mapped LED strip lighting and arrived in a space with 11m x 2.5m LED walls down the sides and a Musion holographic screen in front. Content was delivered via Anna Valley’s Hippotiser Boreal Plus and mapped from the Musion screen out to the flanking LED walls, with cues from the hologram presentation prompting supporting content on the LED walls. 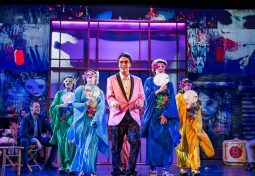 Anna Valley also controlled the lighting in the space, ensuring that the video and lighting translations were seamless, and worked with Chameleon’s audio team to ensure that the audio and video/ lighting elements worked together to support the immersive experience. 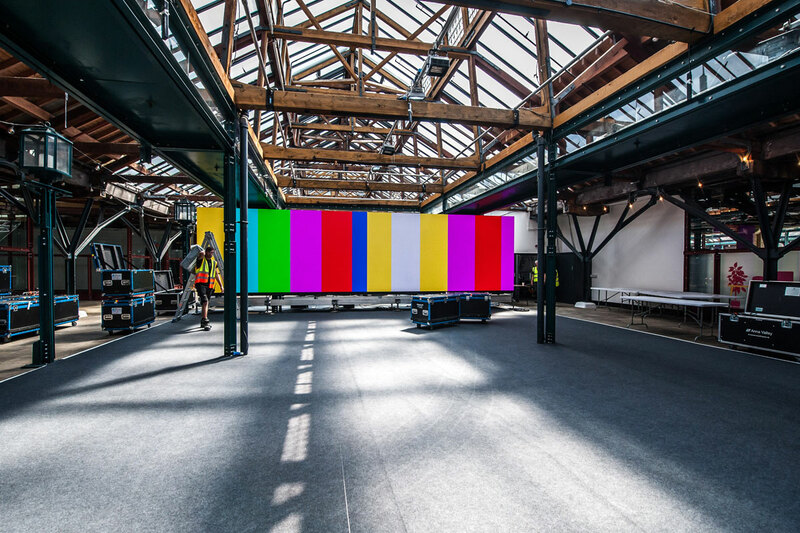 Chameleon were responsible for over 150 crew members on site during the two build and rehearsal days and three event days, including Anna Valley’s team which varied from 23 on rigging days to eight during the event. 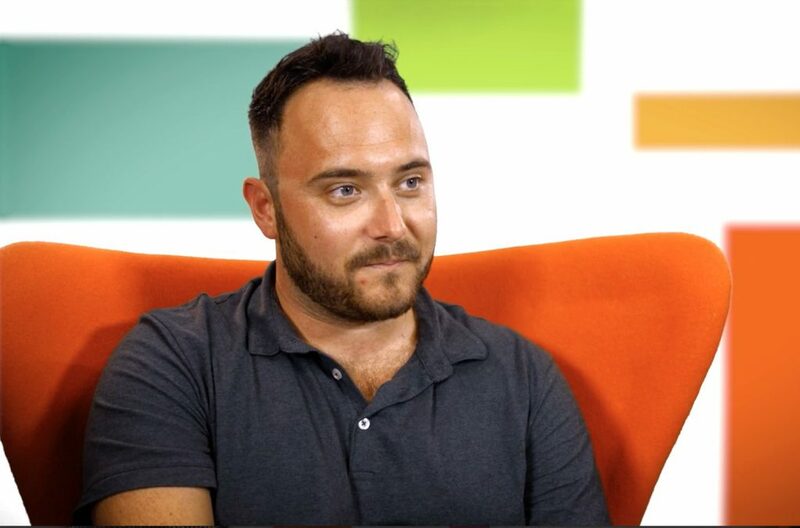 Anna Valley’s recently appointed technical manager, David Mitchell looked after the immersion space while head of projects, George Easey managed the rest of the project’s AV requirements. Get in touch with Anna Valley to see how immersive technologies can be used at your next event.